"So live your life that the fear of death can never enter your heart. Trouble no man about his religion ~ respect him in his views, and demand that he respect yours. Love your life; perfect your life. Beautify all things in your life. Seek to make your life long and of service to your people. Show respect to all men, but grovel to none. When you arise in the morning, give thanks for the morning light, for your life and strength. Give thanks for your food, and the joy of living. If you see no reason for giving thanks, the fault lies with yourself...."
"Upon this earth, on which we live, Unseen has power. This power is mine, for locating the enemy. I search for that enemy, which only Unseen the Great can show to me." "Life.... It is the flash of a firefly in the night, the breath of a buffalo in the winter. It is the little shadow, which runs across the grass, and loses itself in the sunset...."
"We do not want to sell a foot of our land, that is the opinion of our people. The whites can go and take the land, and come out again. We do not want them to build houses here." "For shame! For shame! You dare to cry out 'Liberty' when you hold us in places against our will, driving us from place to place as if we were beasts." 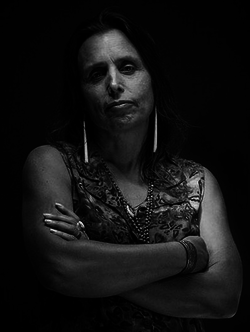 "If women could go into your congress, I think justice would soon be done to the Indians." "Never pass up a chance to keep your mouth shut." "Every man’s religion is good. There is none of it bad. We are all trying to arrive at the same place according to our own conscience and teachings. It don’t matter which road you take." "They were very religious people that come over here from the old country. They were very human. They would shoot a couple of Indians on their way to every prayer meeting." "Hey-a-a-hay! Lean to hear my feeble voice. At the center of the sacred hoop, you have said that I should make the tree to bloom. 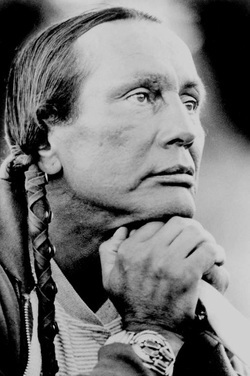 With tears running O Great Spirit, my Grandfather, with running eyes I must say.... The tree has never bloomed. Here I stand, and the tree is withered. Again I recall the great vision you gave me. It may be that some little root of the sacred tree still lives.... Nourish it then, that it may leaf and bloom and fill with singing birds! 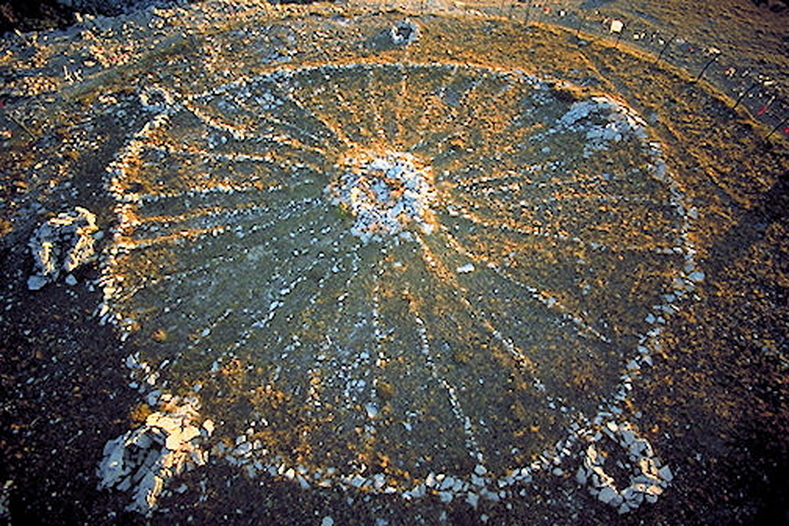 Hear me, that the people may once again go back to the sacred hoop, find the good road, and the shielding tree...."
"You have noticed that everything an Indian does is in a circle. That is because the power of the world always works in circles, and everything tries to be round. The sky is round, and I have heard that the earth is round like a ball, and so are all the stars. The wind, in its greatest power, whirls. Birds make their nests in circles, for theirs is the same religion as ours. Even the seasons form a great circle in their changing and always come back again to where they were. The life of a man is a circle, from childhood to childhood. And so it is in everything where the sacred power moves." "Everything on the earth has a purpose, every disease an herb to cure it, and every person a mission. This is the Indian theory of existence." "Humor is the WD-40 of healing." "My name is Sacagawea. 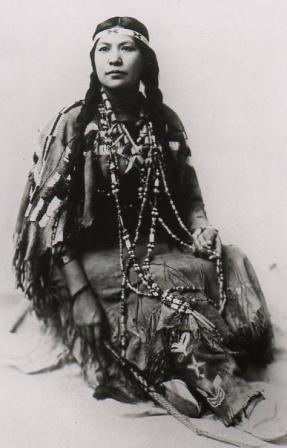 I am a Shoshone, a person from beyond the Rocky Mountains. 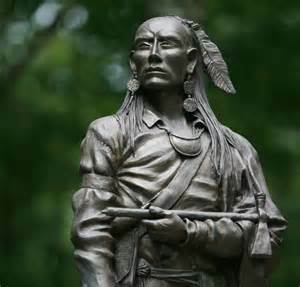 I am from the headwaters of the Missouri River, and was born about 1789 by the white man's calendar. I was captured by a raiding party of Hidatsa warriors 5 years ago, and was brought from my homeland to their Knife River village. Here I met a French trader named Toussaint Charbonneau, who later became my husband. I had my first baby, a boy we named Jean Baptiste, February 11th, 1805. This year I am 16 years old." No photo was ever taken of Crazy Horse. The two sketches on the bottom are considered by family to be reasonably accurate portrayals of him. "We did not ask you white men to come here. The Great Spirit gave us this country as a home. You had yours. We did not interfere with you. The Great Spirit gave us plenty of land to live on, and buffalo, deer, antelope and other game. But you have come here; you are taking my land from me; you are killing off our game, so it is hard for us to live. Now, you tell us to work for a living, but the Great Spirit did not make us to work, but to live by hunting. You white men can work if you want to. We do not interfere with you, and again you say why do you not become civilized? We do not want your civilization! We would live as our fathers did, and their fathers before them." 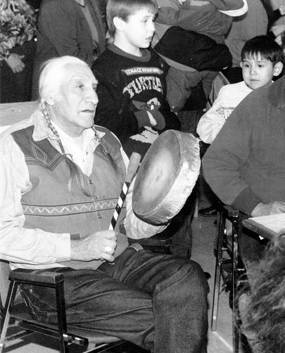 "The First Nations shall rise again and it shall be a blessing for a sick world; a world filled with broken promises, selfishness and separations; a world longing for light again. I see a time of seven generations when all the colors of mankind will gather under the Sacred Tree of Life and the whole earth will become one circle again. In that day, there will be those among the Lakota who will carry knowledge and understanding of unity among all living things and the young white ones will come to those of my people and ask for this wisdom. I salute the light within your eyes where the whole universe dwells. For when you are at that center within you and I am at that place within me, we shall be one." "You have driven me from the east to this place, and I have been here two thousand years or more.... My friends, if you took me away from this land it would be very hard for me. I wish to die in this land. I wish to be an old man here.... I have not wished to give even a part of it to the Great Father. Though he were to give me a million dollars, I would NOT give him this land." "We want no white person or persons here. The Black Hills belong to me. If the whites try to take them, I will fight. "If the Great Spirit had desired me to be a white man he would have made me so in the first place. He put in your heart certain wishes and plans, and in my heart he put other and different desires. It is not necessary for eagles to be crows." "I want to tell you that if the Great Spirit had chosen anyone to be the chief of this country, it is myself." "We do not want schools.... they will teach us to have churches. We do not want churches.... they will teach us to quarrel about God. We do not want to learn that. We may quarrel with men sometimes about things on this earth, but we never quarrel about God. We do not want to learn that." "I am tired of fighting. Our chiefs are killed; The old men are all dead. It is cold, and we have no blankets; the little children are freezing to death. My people, some of them, have run away to the hills, and have no blankets, no food. No one knows where they are—perhaps freezing to death. I want to have time to look for my children, and see how many of them I can find. Maybe I shall find them among the dead. Hear me, my chiefs! I am tired; my heart is sick and sad. From where the sun now stands, I will fight no more forever." "The old Lakota was wise. He knew that a man's heart, away from nature, becomes hard. He knew that a lack of respect for growing, living things soon led to lack of respect for humans too. So he kept his children close to nature's softening influence." "Silence is the mother of truth, for the silent man is ever to be trusted, while the man ever ready with speech was never taken seriously." "'Civilization' has been thrust upon me.... and it has not added one whit to my love for truth, honesty and generosity." "I am the Spirit's janitor.... all I do is wipe the windows a bit, so you can see out for yourself." "Religion is for people who are afraid of going to hell. Spirituality is for those who have already been there." "Western civilization, unfortunately, does not link knowledge and morality but rather, it connects knowledge and power and makes them equivalent." 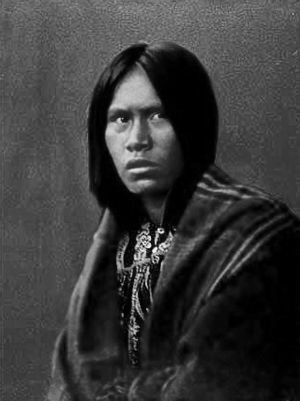 "When asked by an anthropologist what the Indians called America before the white man came, an Indian said simply, "Ours"." "Historically speaking, we went from being Indians to pagans to savages to hostiles to militants to activists to Native Americans. It's 500 years later and they still can't see us. We are still invisible." "We must go beyond the arrogance of human rights. We must go beyond the ignorance of civil rights. We must step into the reality of natural rights because all of the natural world has a right to existence and we are only a small part of it. There can be no trade-off." "Someone needs to explain to me why wanting clean drinking water makes you an activist, and why proposing to destroy water with chemical warfare doesn't make a corporation a terrorist." "Whether we have wings or fins, or roots or paws... we are all relatives." 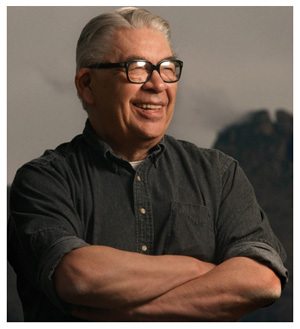 "It takes a strong effort on the part of each American Indian not to become Europeanized. The strength for this effort can only come from the traditional ways, the traditional values that our elders retain." "I'll be coming back as lightning... so if you live longer than me, and you hear that lightning has struck the White House... You'll know who did it." "To speak wisely, one must listen humbly." "I cannot tell you the dreamy, Indian story of your imagination simply because I am not imaginary, and my story is no dream." "The moon will always appear to be over my head, and not yours." "Honor does the right thing, even when no one is looking." "Live with the earth, not on top of it."